Ms. Szendrey-Ramos concentrates her practice in trademark prosecution, intellectual property counseling, and trusts and estate planning. 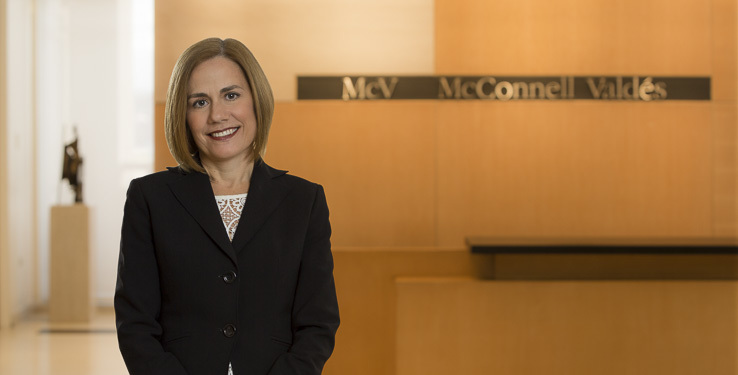 Prior to joining McConnell Valdés, Ms. Szendrey-Ramos was a shareholder at a major San Juan law firm, where she helped create and manage one of Puerto Rico’s preeminent intellectual property law practice groups. She has advised clients in multiple and complex trademark, copyright, trade secret, moral rights of authors, and right of publicity issues under local and federal law, advice which she has provided in transactions and in the daily challenges faced by individuals and corporations in these highly technical areas of the law. She is ranked as one of Puerto Rico’s Leading Attorneys in the Intellectual Property field by the renowned international publication Chambers & Partners in its Latin America Guide. Chambers & Partners has consistently ranked her as a top tier -- or Band 1 -- IP attorney. She is also ranked in the Intellectual Property Law field of The Best Lawyers in Puerto Rico guide, where she was recognized by Best Lawyers® as the 2016 Intellectual Property Law "Lawyer of the Year" in San Juan, Puerto Rico. Ms. Szendrey-Ramos acted as lead IP counsel in one of the most complex art-related Intellectual Property cases in Puerto Rico, the case of the Estate of Julio Rosado Del Valle against his widow, Sonia Acevedo Marrero. The Puerto Rico Supreme Court held that unsold works of visual arts left by an artist upon his death are not community property and therefore are not co-owned by the spouse. The case settled important IP and family law questions. In the trusts and estates field, her practice includes succession and estate planning for family-owned businesses. She has drafted numerous complex wills and testamentary trusts and has advised Puerto Rico and to non-Puerto Rico residents on estate planning . Ms. Szendrey-Ramos was member of the Trademark Act Reform Commission of the Puerto Rico Department of State’s Trademark Office, where she was a leading voice in the process that resulted in the enactment of the 2009 Puerto Rico Trademark Act. She has also served as member of the Puerto Rico Bar Board of Examiners, the Puerto Rico Bar Association’s Intellectual Property Commission, the Enterprise Launching Committee of the Successful Women Program of a major Puerto Rican financial services institution and as Secretary of the Board of Directors of the Partnership for a Drug Free Puerto Rico. Ms. Szendrey-Ramos is an Adjunct Professor at the University of Puerto Rico Law School where she teaches Intellectual Property and frequently participates as an intellectual property CLE instructor. After graduating from law school, she clerked for the Honorable Federico Hernández Denton, who served as Chief Justice for the Puerto Rico Supreme Court from 2009 to 2014.